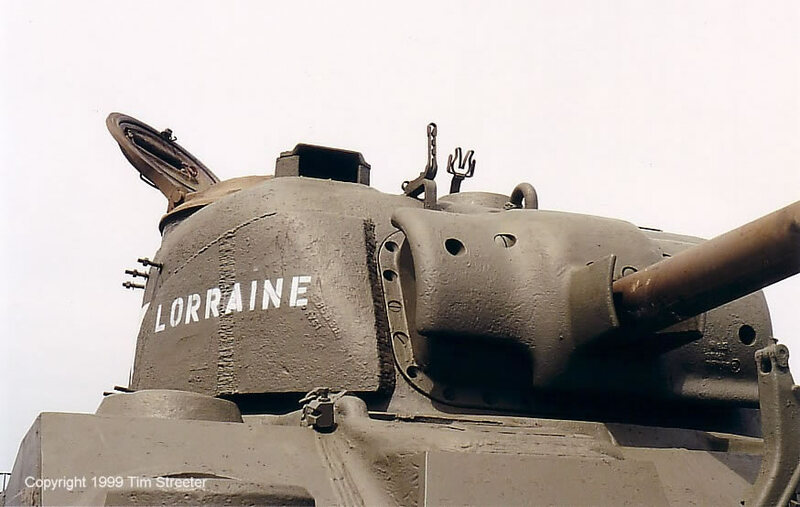 The M1A2 76mm appeared in the Sherman production line in the Summer of 44 at first without the muzzle brake but with a thread protector fitted so that externally it was no different to the M1A1. The muzzle brake first began to appear on tanks manufactured from September 1944 onwards, though the first photographic evidence of muzzle brakes on front line tanks that I can find is in February 1945. The barrel and accessories come packed inside a zip lock bag stapled to a header card with the company info on it. The zip lock bag has a sticker indicating the contents. The parts to make up the muzzle brake are contained in a smaller zip lock bag within the larger bag. • A turned aluminum barrel. • A turned brass collar locking nut. • A two part turned brass muzzle brake. • A small Photo Etched fret containing two baffle locking nuts (?) and a spacer washer, plus two un-named parts. There are no instructions with the set. This is a nicely turned barrel available from JB Model.eu. The nine piece muzzle brake is beautifully made, but the lack of instructions make it a bit of a puzzle to piece together. In the end, thanks to Saul Garcia, I used the instructions for the Armorscale version of the same barrel. As this is a temporary build just for review I used CA glue. For the permanent build I plan to solder the parts together. There are two small square pieces that I could find no use for. I thought they might be the screws or rivets for the front of the muzzle brake but there are four of those so that's not what they are. If anyone knows what they represent let me know please. Although not designed for a specific kit, it fits best into the DML mantlet. It was slightly too wide for the Academy piece and the Italeri piece. I did fit it to the Italeri mantlet by unscrewing the muzzle brake and inserting it from the inside, although that makes it too short. It is hard to get definite info as to the length of the barrel where it leaves the mantlet to where the muzzle brake begins. From the point where it leaves the DML mantlet to where it meets the the muzzle brake the length is 4.834 inches which if my math is right scales up to 99 inches, which is slightly too long as the real barrel is 95 inches long (give or take). The diameter of the thick end of the barrel is .197 in which scales up to 6.895 - again slightly over scale as the original was 6.45 inches. Personally I can live with these discrepancies considering how nice the muzzle brake is and the fact that I don't have to sand a plastic barrel. If the barrel is indeed too long then it would be a simple operation to sink it further into the mantlet. There should be four very small rivets on the front face of the muzzle brake but these can be easily added. I didn't have the dimensions for the real muzzle brake but judging from photos the turned piece looks spot on. With a little work this barrel will fit any plastic or resin T 23 Sherman turret. I know some (if not all) DML Sherman T 23 turrets come with aluminum barrels, but the brass muzzle brake is a huge enhancement over the plastic kit parts. Highs: The low price plus the look of the brass muzzle brake over the kit parts. Lows: Lack of instructions, although I'm told this will be rectified in future. Verdict: Recommended as this will really enhance any 76mm armed Sherman. Our Thanks to JB Model.eu! Copyright ©2019 text by Pat McGrath [ EXER ]. All rights reserved. nice review. very comprehensive. shame there are no instructions though. Thanks for putting this up James. Thanks for the kind remarks Matan. As well as Saul Garcia I should have thanked Kurt Laughlin, Gary Binder and Mike Canaday for info provided. Wow this is getting like an Oscar speech Saul thinks the four rivets on the face of the Muzzlebrake may be post war and looking at wartime photos through a big magnifier I can't see any but the photo quality isn't great. Anybody got definite info? Pat the pieces you are not sure off are they aiming points? I'm not sure what you mean by aiming points. If you mean the external gunsight seen in the centre top of this photo from LINK then no I don't think it's that.